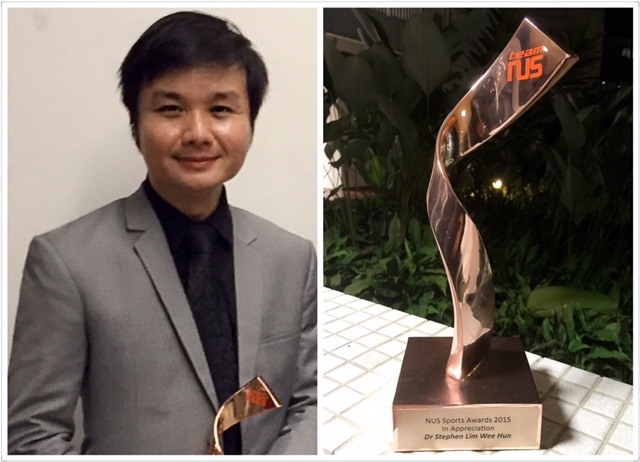 The NUS Sports Awards 2015 Ceremony was held at the University Town on 25 September 2015, graced by NUS Deputy President (Academic Affairs) and Provost Professor Tan Eng Chye. We congratulate our Assistant Dean, Dr. Stephen Lim, for being one of only two recipients of the 2015 Supportive Staff Award. In addition to meeting and guiding FASS Sports Scholars regularly, Dr. Lim inspires and empowers student athletes beyond his classroom and research lab.